One of the most dramatic stories of genetic discovery since James Watson's "The Double Helix," "The Seven Daughters of Eve" reveals the remarkable story behind a groundbreaking scientific discovery. After being summoned in 1997 to an archaeological site to examine the remains of a five-thousand-year-old man, Bryan Sykes ultimately was able to prove not only that the man was a European but also that he has living relatives in England today. In this lucid, absorbing account, Sykes reveals how the identification of a particular strand of DNA that passes unbroken through the maternal line allows scientists to trace our genetic makeup all the way back to prehistoric times, to seven primeval women, the Seven Daughters of Eve. Description: The national bestseller that reveals how we are descended from seven prehistoric women. 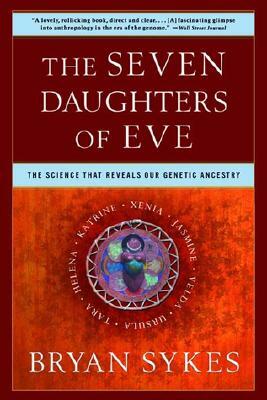 One of the most dramatic stories of genetic discovery since James Watson's The Double Helix, The Seven Daughters of Eve reveals the remarkable story behind a groundbreaking scientific discovery. After being summoned in 1997 to an archaeological site to examine the remains of a five-thousand-year-old man, Bryan Sykes ultimately was able to prove not only that the man was a European but also that he has living relatives in England today. 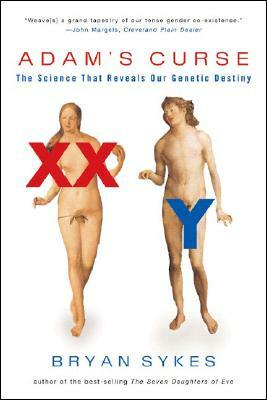 In this lucid, absorbing account, Sykes reveals how the identification of a particular strand of DNA that passes unbroken through the maternal line allows scientists to trace our genetic makeup all the way back to prehistoric times, to seven primeval women, the Seven Daughters of Eve. Bryan Sykes is professor of genetics at the Institute of Molecular Medicine at Oxford University and was the editor of The Human Inheritance: Genes, Language, and Evolution. You can have your own genetic lineage traced by contacting Oxford Ancestors.